In this article all isopsephic lines in Homer (see Aulus Gellius 14.6.4-5) and Apollonius of Rhodes are identified throughthe use of a computer program written by the author. Such puzzles were first noticed by the Hellenistic scholars when they were attempting to establish authentic texts of the Iliad and the Odyssey. The use of deliberate isopsephism by Leonides of Alexandria is noted and the question whether there was scribal manipulation of the Homeric texts is investigated. Both analysis of the statistics of the numeric values of epic Greek verses and textual criticism of the passages under examination show that the majority of these pairs of lines are probably not deliberate, but that manipulation of some cannot be ruled out. 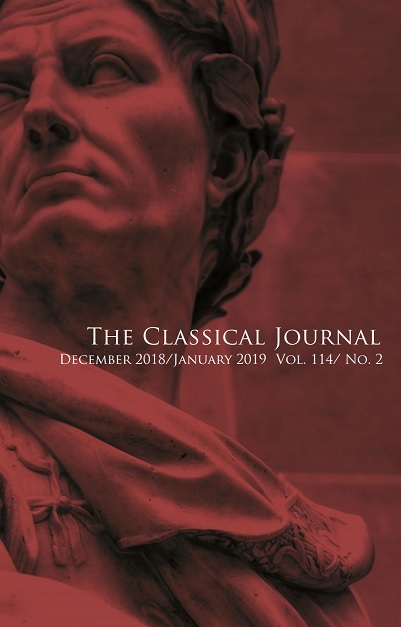 This article argues that a significant element of the rhetorical contest in the Roman civil war was the struggle to define Julius Caesar’s use of financial resources. In his writings, Caesar presents himself as acting out of generosity and frugality, while other sources show his adversaries drawing attention to his confiscations to represent him as greedy and appetitive. These were two sides of the same coin, as Caesar’s choice to act with civic generosity in wartime required confiscations that became a political liability. Yet the ideal of the generous man, built up by elites in their own self-interest, gave little purchase for criticism of the true sources of wealth used for gifts and favors. Caesar used this rhetorical opportunity to give himself a significant advantage in the civil war. In the preface to the Oneirocritica, Artemidorus assumes a range of identities that are distinct from his primary role as a specialist dream-interpreter, includingthose of warrior, researcher, traveler and doctor. By adopting these supplementary roles, Artemidorus is better able to assert his superiority over his rivals as an authority on dream-divination. Specifically, these identities give dramatic flair to this rivalry and advertise Artemidorus’ excellence in a persuasive fashion. They also alert the reader to points of connection between dream-divination and a more general set of academic skills and disciplines, putting Artemidorus’ divinatory competence on a more stable footing. 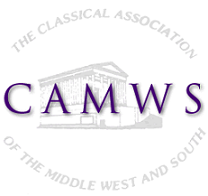 This article charts the astonishing breadth and depth of the syllabary or syllabarium, a central component in elementary education in the West from early archaic Greece through to the nineteenth century, and also explores possible antecedents in the traditions of scribal training in cuneiform in the second millenium. The question of why the syllabary was so long accepted by educators as a critical component in the elementary curriculum is also discussed, in terms practical (systematic exercise), cognitive (training theeye to see groups of letters) and phonological (learning sound combinations in their actual contexts).